Some attribute agricultural development in Nigeria with the policies of Dr Akinwumi Adesina, the spectacle-wearing stand-out minister of Agriculture. Indeed Dr. Adesina with his a decade at the Rockefeller Foundation history, on a superficial look transformed Nigeria’s agriculture landscape, but is this the whole truth about his legacy? I believe our outgoing minister of agriculture’s legacy can best be summarized thus: Adesina converted Agriculture into a business. This is as he puts it, in his own words. Dr. Adesina looked at the agric sector and decided that rather than keep it a sort of ‘charitable’ operation, he could turn it around into a business; and oh yes he did. Within a few years, in spite of increasing desertification and Boko Haram devastation, Nigeria met Millennium Development Goal #1: reducing the population of hungry people by half. Jobs were also created in the agric sector. It all looks good and everyday Bill Gates was seen in Nigeria walking hand-in-hand with Dr Adesina. But at what cost did Nigeria experience Adesina’s ATA transformations? To whose gain? Simply ask the common man: what the cost of food is? Food prices have continued to rise in Nigeria in spite of this great expansion. From the fundamental principles of economics we immediately see pertinent questions. Why has the Consumer Food Price Index continued to rise at about and above 10% each year? Why has Food price inflation remained about 10.90%, and stayed higher than the core inflation rate? Economics defines that with increased supply there is decreased price but rather the cost of staples is increasing in Nigeria, defying the basic economics principle; to whose gain? Dr. Adesina worked on increasing bank lending to farmers to buy fertilizer and seeds. His target: to increase lending from 2% to 10%. With fertilizer distribution totally privatized and seed sellers a private business controlled by the Bill Gates foundation, Monsanto’s and other NWO producers, farmers cannot simply re-plant seeds from the last harvest but take these bank loan facilities to buy seed from Big corp. under the Adesina legacy. Visit agriculturally crippled Ghana and Haiti to see the impact of New World Order, NWO and Genetically Modified Organisms, GMO control of food production. In the process, with loan-dependent farming, farmers are dependent on the banks; the Big corp. makes big gains and the cost of food must rise and be gambled away in futures and stock markets. Food in Nigeria is no longer priced by the simple dynamics of rain fall and harvest but is controlled by banks, seed marketers and the stock market. What Adesina has introduced to Nigeria is artificial food and artificial pricing of food, food becoming a business and business only as he fantasizes. Of course as we eat our more expensive and less nutritious, possibly toxic food, we cannot simply dismiss the entire ‘transformation’ of Adesina. But we must be ready to face several certain realities as Big corp. takes over our farming industry. Expect the price of food to continue to rise indefinitely. Expect to see the cabal and Big corp. grow more content and satiated as you get hungry. Can We Avoid Fighting The Cabal And Their Fans? As we celebrate a successful fulfillment of this foreign democratic process, we must keep our minds clear and our guards up. A war seems to have been averted, but which war and what kind of averting? Is Jonathan a hero for handing over? Some say by so doing he helped us avoid a war. Firstly, let’s get it clear: I have long said that no one will fight for Jonathan. I saw through Dokubo a long time ago. The minute he said, “that Fulani Buhari would have done better for us than Jonathan;” and that “I only support Jonathan because though I see he is a failure, he is from Otueke… monkey no fine but him mama like am,” I knew Dokubo will never kill a soul for Jonathan. It was all an act… a beautiful act to earn his bread. Bayelsa people though disenfranchised with a low education rate; are some of the most honorable and noble people in Nigeria. I did my NYSC there and have worked with these great people in other capacities; of Nigerians no one disliked Jonathan more than Niger Delta boys, the Niger Delta militants. Simply Google search for “Booed in Bayelsa,” and you will be convinced when you watch how the youth of Bayelsa booed Jonathan loudly during his recent visit. Let us be real with ourselves, Jonathan and his PDP party failed Nigerians at large. Don’t be misled by the massive rigging and the manipulated results of the March 28th presidential elections. The paltry 12 million votes they “won” out of 80 million eligible adults, was bought with $6 billion PDP looted Nigerian petrodollars and a massive military operated rigging machine, not love. It was a heavy investment in sowing seeds of hate, bigotry and strife; we all witness these massive projects from the pulpit by the PDP. We know how at $100 per vote, Jonathan and his PDP took advantage of the desolation they have invested in nurturing in us for decades; making the poor swear on the Quran and Bible to vote for Jonathan and PDP governors. Be ready for more of that PDP (People Desperate for Power) vote buying and rigging come April 11th by candidates like Agbaje and Ribadu. They have already started from reports in the dailies. Scrutinize their states and campaigns and you will see the mischievous Jonathan doctrinal ethno-fractionating messages and the rigging money and machinery at work. Now that we are convinced that no one would have seriously killed for Jonathan, the second question we are confronted with is: what if they did? Perhaps this was a fight we needed to have had. The Nigerian masses have held their peace and suffered too long; perhaps it is time we fight. What have we lost by not fighting? Do we know what Buhari traded to Jonathan that is our right, in the General Abdulsalami Amnesty deals? The Jonathan/PDP government over the past 16 years (and by extension through the Babangida/Abacha era of the same family) has looted unthinkable amounts of Nigeria’s wealth and land. There is very little left for us people to use. Buhari is in for it. Jonathan and the cabal under this PDP have cut up Nigeria and shared it among themselves. Cement, agricultural land, oil, car manufacturing; just anything you can think of is owned by Jonathan and co. Nigeria is finished! If Buhari does not repossess these from them, there is no way we can exist a humanely existence. And we saw Buhari promise Jonathan that he (and his loot) is safe. Did we who put Buhari there authorize this? The cabal took massive crippling foreign loans simply to plunder. We are going to suffer for years to pay these loans. Did we really avoid the fight or we simply postponed the battle date? How will the Nigerian masses not finally fight to reclaim what is theirs from the cabal and the devils who work for the cabal? We are hopeful with the Buhari/Osinbajo government but we must also be truthful to ourselves. We voted for the firm dictator Buhari but we do realize what we got is a western-democratic compromised politician Buhari, not that brutal one we loved; and one who has to work with the system with these hawks, these glutinous senators and political godfathers around him. What war did we avert? And did we need avert it? The Chibok girls must be avenged. Late NSA Andrew Azazi must be avenged. The millions of dead, defeated and serially cheated Nigerians must yet be avenged. Hold fast to your watches, because we do not yet know what time it is. No secret, ex-president Abdulsalami Abubakar is chief cabal amnesty negotiator. The cabal are lining up in droves, from Jonathan through Dangote to Diezani; Abdulsalami negotiates amnesties aka, ‘peace’ deals. If Abdulsalami did not negotiate – according to those who speak for the committee while not realizing the implications of their words – there will be war, terror will be unleashed. If Abdulsalami did not negotiate an amnesty for Jonathan, Jonathan would have waged a war. There would have been no peace. If Abdulsalami does not negotiate for all the other cabal, Nigeria will face the full wrath of their terror. All praise to Abdulsalami, and also to Jonathan for agreeing to the deals else Jonathan would not have retired after 8 years in Aso rock but would have unleashed terror on Nigeria. We were warned by Jonathan’s men of the consequences of him losing. From Akpabio to Jimi Agbaje to Nuhu Ribadu to Dokubo the warnings were the same: you must re-elect Jonathan else there will be terror unlimited; else Nigeria will be blasted to smithereens. So of course as Jonathan was voted out in spite of all antics played by him, the NSA, MoD and Service chiefs, an amnesty had to be negotiated. It is a pity that Nigeria loves negotiating amnesties with terrorists. The nation is where it is today for this very reason. The amnesty negotiated with MEND led to the explosion in oil theft and pollution in the Niger Delta with the certification of shameless terrorists who continue to openly threaten the country and even its neighbors with foul utterances from their putrid cavities. Jonathan begged to sign amnesties with Boko Haram and kept postponing the war till the terrorists took over half of Adamawa and our patriotic local hunters had to step in and save the day. The current amnesty Abdulsalami is spearheading with these economic terrorist cabal is no different: a sin, an abomination and a curse on Nigeria. No thanks Abdulsalami, they should have done their worst. Some of us were prepared to fight. Perhaps it is time we fight that war for the pride and dignity of the common man to finally be restored in this land. I have never been a fan of Abdusaalami; I hold him for the death of a friend and father to me, late Brigadier General Tunde Idiagbon related to the transfer of Nigeria to the cabal in the fourth republic sham. Abdulsalami, dictator Bagangida’s brother, the founders of the PDP, willfully handed over Nigeria to these vultures and as I see him again spearheading an unconscionable amnesty for terrorists who have destroyed the hope and promise of our nation, who have cemented the masses in desolation; who have plundered money they will only eventually lose in Swiss banks, to the death of our elderly and the unleashing of deadly terror on our defenseless, I hate him even more. Hate is a strong word, I know. But people like this that never give up but always continue to negotiate for terrorists against the interests and dignified survival of the masses deserve no less. Why are masses not invited to the amnesty table to choose as is their right and theirs only? We will not back down. Since we are lagging decades behind and must start planing like yesterday, here is my shopping list for you to consider as you plan your government. I want to continue… should I? His kingdom was first set-up in New York. He rules over millions of local and dispersed Nigerians. His dominion is defined by communication, information, love and trust. He was responsible for delivering Ondo state (and more) to the opposition presidential candidate in the recently concluded Nigerian presidential elections. The Chief we are talking about is Omoyele Sowore, ruler of the SaharaReporters media empire. His hundreds of thousands of subjects are at his fingertips, literally. His followers retweet his every remark. Not limited by time or place, he has delivered his sermons from podia from Berlin to New York. Chief Japheth Omojuwa is an enigma. She rules. She is a Queen of Africa. With millions of followers, the gentle Queen captivates her subjects daily. She persuades their opinions and rules not by hard fist but with delightful means. She can win a victory for any politician if she decided to be partisan. Queen Linda Ikeji reigns. From the Adamawa plateaus to the rock of Aso. With a followership centered in the north of Nigeria and filled with Nigerians abroad. He is Chief Ibrahim Wala Garba, known also as IG Wala and Walaone. A strong chief from a lineage of pure bloods, when he moves there are earth quakes. Chief Kayode Ogundamisi, His Highness Tolu Ogunlesi, Chief Chude Jideonwo, to mention a few more; these are the men and women who influenced the elections. The reality is that the dynamics of influence in Africa has dramatically changed. The traditional stone palaces are emptying out while empires on the sociosphere are being thronged with faithful faithfuls. One person who tested and realized the extinction of the traditional kingdoms of Africa was Nigeria’s out-going president, Goodluck Ebele Jonathan. Thousands of dollars he allegedly rained on palace chiefs across the nation could not buy his party much. A town crier has very little on an influential tweet and a throne has nothing on a viral web page. Africa has new chiefs and they may not be where you think. Goodluck Ebele Jonathan concedes defeat and hands over to President Muhammadu Buhari and Pastor Yemi Osinbajo of the APC. This outcome holds the best promise for Jonathan who at least will be credited to have done one last thing right. This outcome may be tested with pockets of agitation from terrorist/militant lords. These will be easily controllable by a honest Jonathan presidency. In this outcome Goodluck Jonathan will be able to “enjoy” two more months at the seat of power; with the keys to Nigeria’s billions. Goodluck Ebele Jonathan refuses to concede defeat and rigs all the way, then announces himself as the winner. This situation is most favored by the heads of service who are interested in holding power as evidenced by their interference in all stages of the electoral process including their prompting its postponement. If Goodluck Ebele Jonathan rigs to victory and refuses to concede defeat, there will be predictable turmoil in the country and within days the military will over throw the government. As mentioned, the military prefer this option as they will have officially sat on the throne and they will then pretend to be saviors. Goodluck Jonathan does not like this option so much, as his name and record will be forever tarnished even more with this and he may be jailed even by this very military before they are ousted or hand over to civilians. The military takes over before results are announced. Goodluck Ebele Jonathan prefers this option as it will save him conceding defeat and being held responsible ultimately, by the cabal hawks who have been pressing him to fight to finish to save their empires, hold on the nation’s treasury and corrupt, impune lifestyles. However the military does not like this option as it will predictably deny them of any credibility and support locally and internationally. This approach will also predictably lead to quick military power changes. The Military and Goodluck Ebele Jonathan go it together; either delaying the election results, cancelling them all together or announcing the rigged results with the military standing by Jonathan. In all world history except in Iran (due to the 1,000,000 strong, Basij paramilitary civilian army), every instance an incumbent denies a strong opposition his mandate rightfully or wrongfully, turmoil has almost always soon sacked the incumbent. Situation 4 will lead to days to weeks to months of bloody civil and military disturbance in Nigeria which will ultimately predictably end only by the toppling of the Jonathan-Minimah government. In all scenarios the people are implored to exert patience, be organized and united, and use peace as a weapon, ignoring all evil provocation. Not one innocent Nigerian must die. All eyes must be trained on the enemies of the state only. It is time for you to give up. It is time for you to abandon ship. Dear unscrupulous cabal, enough has surely been enough. We have had it with you… your time and grip of treasury is done; your choking of this nation is over. This letter is addressed to you. You know you are a cabal if you have cut up a slice of the paupers’ loaf that you fondly and atrociously call the ‘national cake.’ Yes that is you. You lazy godawful, who earned what you did not work for and made us suffer. You thief. According to the latest report by the EFCC you cabal have from 1960 to 2005 looted $20 trillion dollars. 20 Trillion Dollars! That is over 100 yearly budgets put together! And in the last ten years with Nigeria earning more than ever before, you have looted no less than another 7 trillion dollars. That is final. This election you see here is a coated revolution. We are compiling a list of your names and all your benefactor family and friends. None of you will ever again near the corridors of power. It is our time. It is time for the Nigerian masses. APC cabal sef who helped this revolution will not near power. We promise you this. We thank you but it is time you retire. It is time all you cabal retire. Nigeria is about to experience a new day where our oil yield, 100%$ of it is for the masses; where our land is owned by the people and not cabal; where we farm natural seeds and not cabal GMO’s, where the masses decided and achieve in totality; where hooligans are no longer paid and political or military brute, brainless thugs no longer hold sway. Some of us sat back and watched you puerile thieves steal for decades, but when your thieving lost total control and we could no longer simply live in our poverty in peace; with your Boko in the north, MEND in the south and Ombatse in the Middle we decided that it was enough. You have looted and now you are bombers and assassins of the masses, the only causality of terror sponsored by your nefarious reckless idiocy. Dear cabal. You are now late. Disappear for the masses are coming. We will not stop. In the historic election scheduled to hold on Saturday the 28th of March, Nigerians will be coming out en-mass to break a 30 year hold on the reins of power by a former military dictator, Ibrahim Badamosi Babangida. Babangida came to power through a military coup that toppled one of Nigeria’s more promising regimes, that of ex-general Muhammadu Buhari and Brigadier Tunde Idiagbon in 1985. 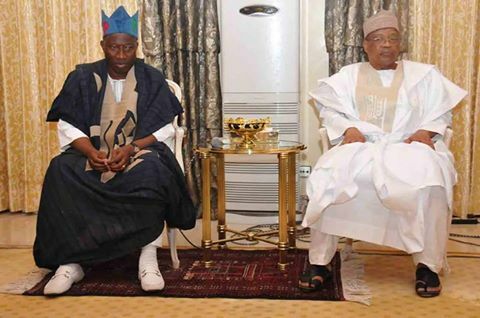 Since then Babangida has maintained hold of the reins of power directly and by proxy. The ex-president promised as he “stepped down,” “I will be back,” and he was. Dictator Babangida had handed over in 1993 to a civilian stooge, Ernest Shonekan, shortly after Babangida’s second in command, General Sani Abacha retrieved power from their stooge. After Abacha died or was killed in August of 1998, Babangida’s cousin, and adopted brother, General Abdusalami, both Gwari people (As children, Abdusalami Abubakar’s dad adopted orphaned Babangida) was made president of Nigeria. 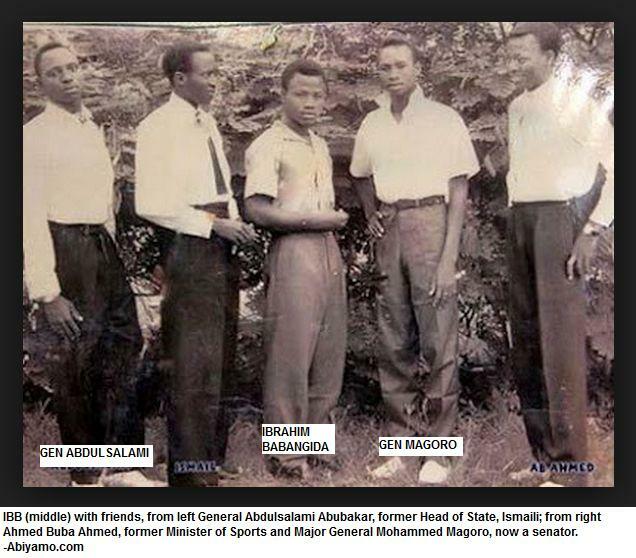 Notice the “i” at the end of the names, Abdusalami and Badamosi. Abdusalami Abubakar immediately prepared to transfer power to civilians. Together with Babangida and other members of the dictator’s inner circle, they planned a transition. Babangida and Lieutenant General Aliyu Mohammed Gusau, the Director Military Intelligence, DMI during Buhari’s time who together with Babangida plotted the coup to sack the Buhari/Idiagbon government, again together founded the People’s Democratic Party, PDP and in 1999 decided to hand over to a former soldier and pal, General Olusegun Obasanjo. When Obasanjo was invited to rule again by the Babangida-Gusau crew, he famously asked, “how many president’s do you want to make of me.” Babangida installed Obasanjo through a rigged election process conducted under his brother, Abdusalami Abubakar. Thus Babangida retained power in the fourth republic. Obasanjo’s regime was handled and monitored by Babangida and his men with Babangida’s right hand man, Aliyu Gusau as the nation’s NSA, National Security Adviser throughout the Obasanjo tenure. NSA Gusau is noted to have supervised the founding of MEND in the south and Boko Haram in the north. Obasanjo later handed over reluctantly to Yar’Adua/Jonathan of the PDP Babangida party; later when Yar’Adua passed in 2010 (or perhaps was poisoned for as some say, for betraying the interests of the founders of the PDP party) Goodluck Ebele Jonathan took over the reins of power with a promise to continue to deliver the nation to Babangida and co. Under Goodluck Ebele Jonathan, Babangida’s men were quickly restored to all chief positions of government: Aliyu Gusau was immediately restored the the most sensitive security office, the office of the National Security Adviser, oNSA. Sambo Dasuki (Gusau’s foster brother with the duo inheritors of Babangida’s wealth by blood and marriage — Gusau married to Jamila, late Dasuki’s widow) … Sambo Dasuki, who was the Aide-de-camp to president Ibrahim Babangida was soon made NSA after Gusau resigned from the post to contest against Goodluck Jonathan and his replacement Gen. Andrew Azazi had been resigned (Azazi was killed in a helicopter crash later the year he had implicated the Babangida PDP party in Boko Haram terror). Colonel David Mark who was minister of communication under Babangida’s regime and is popularly remembered for allegedly saying, “telephones are not for the poor,” was soon made the nation’s senate president. David Mark supervised the senate and nation’s oil industry ensuring oil blocks remained within the Babangida club and the illegal kerosene subsidy with $100 million in paupers’ funds transferred to cabal pockets every month remained unhindered. After Gusau’s presidential ambition was defeated in the notorious PDP primaries that Azazi had commented of, Gusau was soon returned to the nation’s defense office as minister, to supervise the “war” against Boko Haram. Other Babangida boys like Jones Arogbofa were also returned during the Jonathan regime as chief of staff, to keep a tight control on Nigeria. It appears all Babangida’s boys simply hung their military fatigues and put on civilian garb to resume the Babangida dictatorship, civilian style via the PDP. So as Nigerians go to the polls this Saturday, they are not only desperate to try a change in government and let go of a PDP party that has supervised the establishment of terror across west Africa, compromised one of Africa’s best armies, mismanaged and subsequently privatized all public assets, gifting these to the cabal, and watched over the gradual impoverishment of the people and the enthronement of the cabal, now recognized as the world’s top private jet club; the people are also going in earnest to vote out the Babangida 30-year hold on power. Nigerians are excited at the prospects of a new dawn. Opinion expressed on this page is solely that of the author and does not necessarily reflect the views of Abusidiqu.com and/or its associates. All Nigeria’s terrorists are now formally under Jonathan’s employ. When the president of Nigeria brags about creating employment, it should be taken in context. MASSOB armed and violent terrorists of the southeast have been hired by the president and his ruling PDP party to foment chaos and destruction of life and property to protect a Jonathan friendly administration. OPC armed terrorists are doing same, paid by Jonathan, in the Southwest. We have images of them vandalizing public property and opposition billboards with the Nigerian police and army, now a terror appendage of Jonathan’s in full supervision. The Vice president’s Boko Haram terrorists who are doing the same in the north were seen days ago holding him, Namadi Sambo hostage for nonpayment of their salaries for terrorism work done. Among other things, the plan includes using armed terrorists and the state security to intimidate good and progress ready people away from polling booths next week. Nigeria will never fully recover from this reign or terror. Good people have sat down quietly too long and now bad people and terrorists have been employed and empowered beyond imagination. 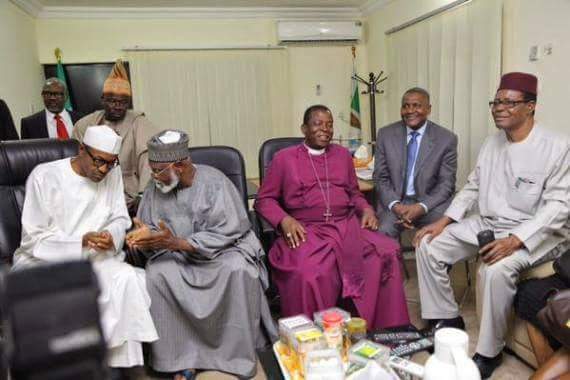 Do you still have doubts having seen how Jonathan sponsors all these terrorists to further his political ambition, that he did same and is the chief sponsor of Boko Haram? Little wonder he protected them as his ‘siblings’, and his beat buddy, PDP chair Bamanga Tukur said they were fighting for justice. Nigeria is in soup. Rest in peace General Andrew Azazi. Reat in peace too UN, AU, ICC and co. You watched us die under a regime of Terror while pretending not to notice. The thought of APC debating with PDP is appalling to say the least. It is simply wrong and any and every time one has seen the two engage in any type of tirade, we are disappointed in APC for missing its stride and stooping. Why should human being talk to animal? Who is inviting APC to debate? Is it Reuben Abati? The guy who criminally slandered the person of Buhari and after being sued had President Jonathan beg Buhari to settle the libel case out of court? Or is it Doyin Okupe sending the invite, that uncouth hooligan who was shouting deludedly in Aso rock recently. Seriously who is sending the invite? Is it the bunch of criminals or the bunch of murderers? Is it Ayo Fayose or Omisore? Is it Koro or Fani Kayode? Is the invitation coming from a launderer or a thieving rigging looter? And then who is to be debated? Is it any of the members of that rotten stinking carcass as Fani Kayode rightfully categorized it? Is it the president? Unless the debate is about the right consequence to be meted on him for his crimes against humanity, whether it be impeachment first or handing over to the ICC; whether it should be life in prison or the gallows, what is to be spoken to this space occupying lesion? It is an insult for PDP to ask APC for a debate. It is a betrayal of our consciences as people if APC ever honors such request. What is happening in Nigeria though taking the appearance of a democratic transfer of power is actually a REVOLUTION. Buhari is simply the vessel and flag bearer of the people’s revolution for change and the sacking of a system that has crippled them for decades. Buhari does not have the right to debase us by indulging criminals with a debate. APC members do not have the right and reason to drag themselves in the mud and insult us as a people by standing on the podium with criminals and murderers; with people who openly defend corruption and embrace stealing; with people who steal the money for our army and lead to the death of thousands of soldiers and defenseless citizens alike. With governments who cause loss of Nigeria’s territory and billions in economy losses of parts of the whole; with animals who defend Boko Haram and regard themselves as not part of the Nigerian total union; with land polluters; with terrorist protectors. Buhari may die in power, but Jonathan is killing us. Which do we prefer? There is nothing left to talk about. He has done 8 years in Aso rock; it is enough. It is time to return to Otueke. There is no debate in that. Let us open the real debate: what punishment should be meted out on this bunch of shameless criminals? jail or the gallows? What do you think about this? Share your thought with others in the comment section below.